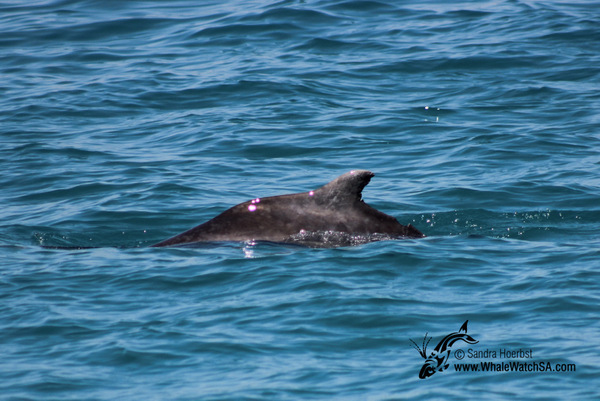 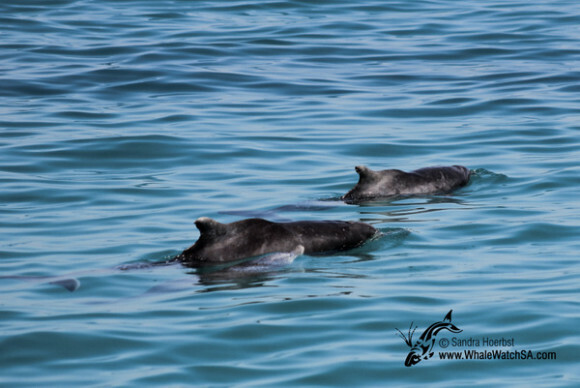 While cruising along the coastline we spotted four Indo-Pacific Humpback dolphins. 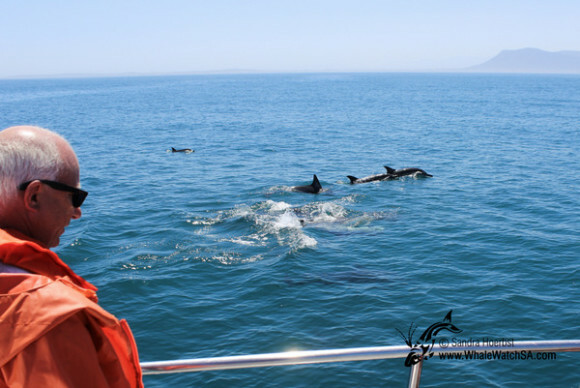 They were busy swimming towards the natural estuary that enters the bay. 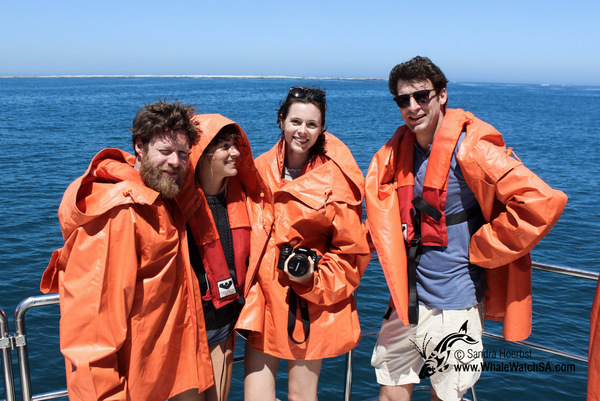 Then we were slowly heading towards Dyer Island, but on our way we were surprised by a pod of common dolphins. 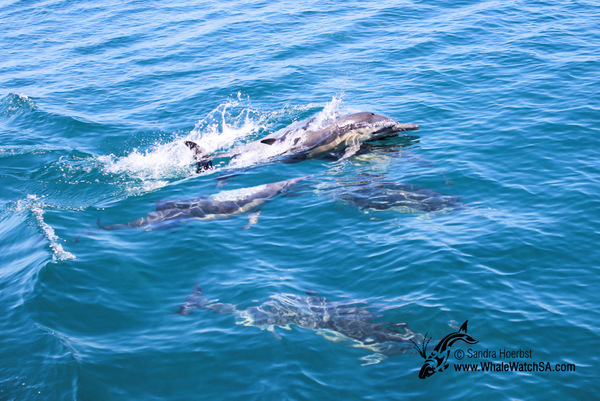 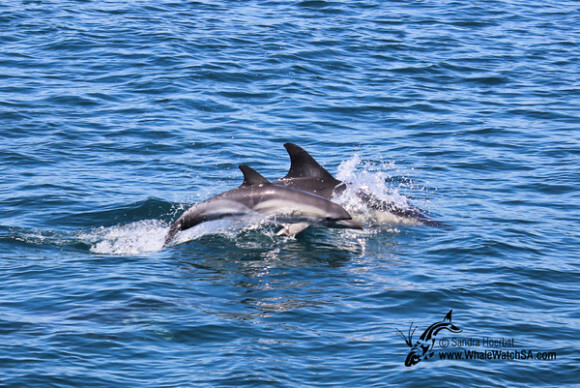 They are always nice to have around the vessel, as they like to bow ride and curious dolphins. 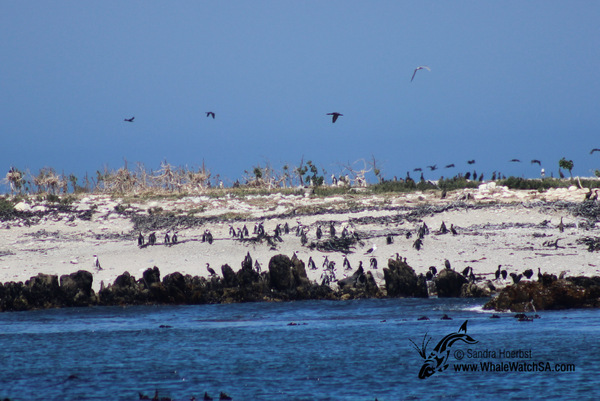 Arrived in the waters around Dyer Island we saw some African penguins and other seabirds. 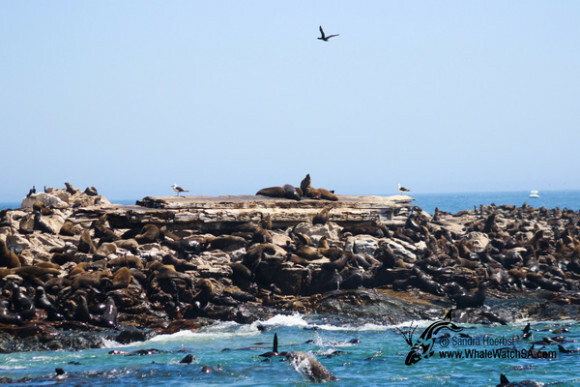 And before heading back we passed our Cape Fur seal colony.